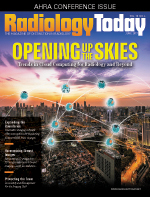 Increasing concern over the past several years about managing the risks of radiation to diagnostic radiology patients has been the impetus behind public awareness programs such as Image Gently and Image Wisely. This concern has also raised the awareness of radiologists, cardiologists, surgeons, and ancillary personnel in fluoroscopy rooms about protection from radiation scatter in the procedure room. "There is as much concern for protecting the technology staff and the radiology nurses as there is for protecting the patient," says Marc A. Hertz, MD, director of the radiology department for CareMount Medical in New York, who has been practicing diagnostic radiology and body imaging for 38 years. "The radiologists and the technical staff perform radiographic exams on many patients daily, so their protection is of paramount importance. We recognize the potential harm we can do with ionizing radiation, and we strive to use as low a dose as possible—limiting 'retakes' and minimizing the dose in each case." Bart Leclou, a personal dosimetry business area manager for RaySafe, says customer concerns are twofold: First, hospitals and other medical facilities want to ensure that they take the proper steps to protect their staff from excessive radiation exposure while meeting all mandated regulations. Second, physicians and clinical staff are concerned about the long-term effects of radiation exposure. "The effects of excessive radiation exposure are not seen for many years, but excessive exposure has been linked to cataracts and certain types of cancers such as thyroid cancer," Leclou says. "Minimizing personal exposure to radiation, by using cutting-edge technology, is desired by those who spend their careers in the radiological suite." Advanced imaging techniques have historically used higher doses of ionizing radiation; for this reason, the industry has aggressively sought to minimize radiation exposure through improvements in equipment design. "The improvements in design of detectors, specifically in CT, have improved the information—photon—density we can get," Hertz says. "That enables us to reduce emitted doses." Craig Barney, vice president of sales for BLOXR Solutions, says the need for individual protection is greatest for those team members who work in the diagnostic suite during X-ray procedures. Although awareness of health care professionals' radiation exposure has grown, Barney says more can be done. For instance, the use of head, hand, and eye protection remain much lower than what is currently seen for thyroid and core radiosensitive organs. "Awareness of the need for protection has increased over the years significantly. This can be attributed to a multifaceted approach by advocacy groups for the end user up to and including manufacturer-provided education and all points in between," Barney says. "It is safe to say that the increase in awareness of the need to protect has grown over the years, however, there are still numerous opportunities for adoption across the US market." Leclou says Joint Commission requirements have prodded hospitals to begin managing all of their procedure dose exposures, which allows for a better understanding of the effectiveness of dose reduction features. These features can enable the staff to work within ALARA-defined parameters. "Judging whether the staff is adhering to ALARA standards is difficult," Leclou says. "A RaySafe dosimeter [can be] worn by the individual and real-time radiation readings from the badge can be seen on a separate dedicated monitor installed in the lab or on an integrated display in the procedure monitors. This information could be associated with and analyzed against the patient dose figures in the specific hospital's dose management solution." The company also recently launched a newly designed dosimeter, which improves wearability, functionality, and dose measurement performance. The dosimeter is similar to a fitness tracker. "A fitness tracker gives real-time feedback for such things as heart rate or steps taken, and the user has the ability to change behavior to affect those readings and ultimate outcomes," Leclou says. "Not only do you have instant feedback but you can see a record of activity daily, weekly, and monthly. In the same way, the RaySafe dosimeters can alert users to change behavior and keep their dose exposure levels low." "Older protective equipment, such as lead aprons and protective eyewear, are still very much in use [as well]," Hertz says. One of the drawbacks of lead aprons, however, is their weight. During BLOXR Solutions' latest development and design stages, Barney says the company considered effective protection, weight, comfort, and durability in developing the BLOXR XPF. "It is a significantly lower weight than the traditionally heavy lead garments. Lead provides the gold-standard 0.5 mm protection but is heavy and made of toxic material. BLOXR is able to offer all the benefits of lead with none of the negatives," Barney says. "In addition, we have introduced the first product that can be laundered in the washing machine, addressing the many hygiene concerns that exist with traditional lead garments. Our latest and most popular design is the BLOXR Attenuation Cap." John Cadwalader, chief operating officer for Worldwide Innovations & Technologies, makers of RADPAD Protection, says there's a significant need for sterile, disposable radiation protective shielding, too. "Scatter radiation is still emanating from the patient and impacting the interventionalist and the staff on a daily basis. Even with robotics, the nurse and/or technologist is still in the room receiving significant levels of scatter radiation day in and day out," Cadwalader says. "We are continually investigating new applications for existing products, and our RADPAD products are a key factor in the total radiation protection practice for the medical staff." Patricia Harron, assistant director of imaging services for Good Samaritan Hospital Medical Center in West Islip, New York, says that by following the ALARA principle and with proper education and a working knowledge of radiation protection, concerns about protecting the team can be minimized. "More than just radiation workers are involved in many of the procedures requiring exposure to radiation," Harron says. "A principal challenge of protecting everyone involved is the ability to reasonably educate all staff, not only radiation workers, in radiation safety and protection." Daryl Eber, MD, a South Florida-based radiologist, recommends radiation monitoring badges for technologists in high radiation areas. "One of the biggest challenges is monitoring. People have to remember to wear their badges. Incidental exposure is also a challenge, but that is minimized by strict rules and locked barriers with good signage," Eber says. "We adjust the distance away from an X-ray source so that a [nonbadged] member of the public will not get more than 2 millirem (mrem) in an hour and not more than 100 mrem in a year." In Harron's opinion, distance offers the greatest protection for any kind of radiation; she recommends following the inverse square law for radiation exposure: Move twice as far, and the radiation is reduced by a factor of four. "Stand next to the source of radiation [the patient in fluoroscopy] as little as possible. Standing six feet away from an exam table will significantly reduce your radiation exposure," Harron says. "Always stand behind a protective barrier or wear a lead apron when performing X-ray procedures. Lead aprons typically attenuate more than 95% of scattered X-ray radiation." Individuals consistently working in areas of high fluoroscopic use should also utilize protective eyewear to reduce exposure to the lens of the eye. Maynard High, PhD, director of the medical physics division at Westchester Medical Center in Valhalla, New York, says all operators of fluoroscopic equipment at the medical center wear leaded eye protection during fluoroscopically guided interventional procedures. "For protection of operators and ancillary personnel, we use an assortment of ceiling suspended lead shields, rolling lead shields, patient table drape lead shields, as well as personal lead aprons, vests, skirts, and thyroid shields," High says. "We are currently replacing the traditional thyroid shields with a much larger style that provides even greater protection from radiation scattered towards the side of the operator." High says all personnel in the fluoroscopic suites are monitored with personal radiation dosimeters, and the readings are reviewed on a monthly basis. This traditional method allows leadership to identify outliers—higher than expected doses—and provide feedback and additional radiation safety training to staff. "With this method, the dosimeters need to be sent to an accredited processor for readout and report generation, which can take at least a month," High says. "Westchester Medical Center has purchased a real-time personal dosimetry system, DoseAware, sold by Philips and by RaySafe, in which a display in the fluoro procedure room is linked wirelessly to radiation detectors on the persons in the room. This has proven to be extremely effective in training new personnel and modifying the behavior of current personnel because they can immediately see how much the dose rate is decreased as they take a step away from the patient or step behind one of the shielding devices." Still, Westchester Medical Center's most effective method of reducing dose to the procedure team has been the installation of advanced dose reduction software in the fluoro units themselves. Their Philips AlluraClarity system was installed to reduce patients' procedure dose by 20% to 80%, depending on the procedure, but it has the extra benefit of reducing personnel dose by the same fraction, since scatter dose is proportional to patient dose. Despite safeguards and improvements in equipment, it's not as simple as it appears to protect people. Lead shields cannot be used all the time, as they will get in the way for certain procedures and parts of procedures, such as those that require rapid rotation of the C-arm assembly. In some very complex fluoroscopically guided interventional (FGI) procedures, such as heart valve replacement, there are so many medical professionals and so much life support equipment in the procedure room that there is not enough room for rolling protective shields for all personnel. "In a large teaching institution like ours, radiation safety training for all the personnel that rotate in and out of FGI procedures can be a challenge," High says. "We emphasize to the trained fluoro operators that they become the 'radiation safety officer' for their room when they are using fluoroscopy and are responsible for assuring proper positioning and shielding of ancillary personnel in the room. In our institution, we train the radiologic technologists present during FGI to provide reminders to the operator and ancillary personnel at appropriate times of ways to improve the protection of the team from scattered radiation."